Anodized aluminum construction for durability and stability while planning. The Chopstick Master™ Green Arm is an optional accessory for the all new Chopstick Master™ that allows the user to create 2mm tip chopsticks. It is a fascinating fact that different cultures prefer different sized chopstick tips. The “standard” in China is 5mm while in Japan, it is 2mm. 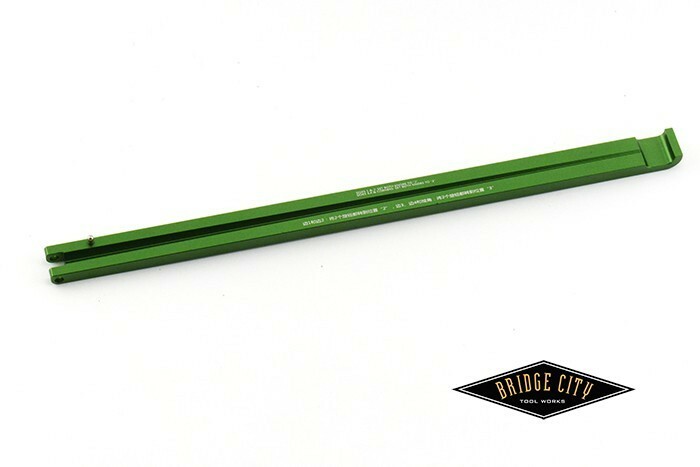 Using this Green arm instead of the standard equipment red arm produces perfect chopsticks with 2mm tips.